Sufix Nanobraid Nanofilament Braid Aqua Camo is ideal for LRF or ultra light freshwater fishing. Sufix braid has always been reliable, and now there's a genuinely thin ultralight option. 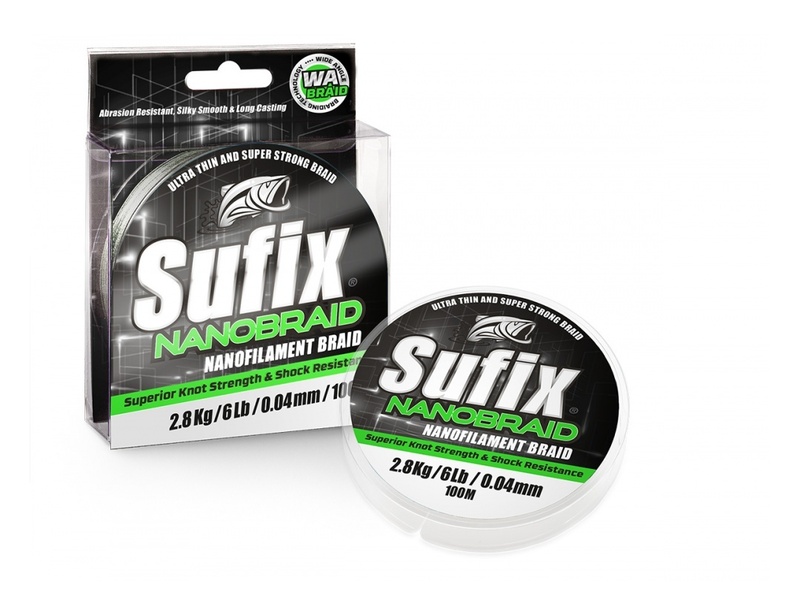 Sufix NanoBraid is built with a Wide Angle Braiding Technology that creates higher tension on the braiding process, resulting in a tight weave and super strong, silky smooth line. The densely braided Dyneema® fibers and a high pitch-count – up to twice as high as on most braided lines – gives consistent quality, uniform diameter and increased abrasion resistance, improving the line’s performance. Sufix NanoBraid is up to three times stronger than other lines in the category and also features superior knot and shock strength unmatched by any other ultra thin line. The silky soft line is extremely sensitive and runs quietly through the guides perfect for all fishing situations.